#RRBC and ME…color me happy! – Welcome to the World of Suzanne Burke. #RRBC and ME…color me happy! Are you expecting a rave? Good … That’s what you’re getting. My memoirs, ‘Empty Chairs” and “Faint Echoes of Laughter.” were both originally Traditionally published. Sadly, my publisher closed their doors, and my work disappeared from view. My confidence levels were at an all time low, and the thought of self-publishing was shoved to the end of my ‘Can do’ list. I had made some lovely friends on line, and spent the next four-years on my old blog “Soooz Says Stuff” site, blogging, actively promoting contests that I created, promotions, new releases etc. You know the drill. “Soooz Says Stuff” had a total of 287 followers. I was well in to writing my first thriller, loving the journey but having no end vision for what I would do with it when it was complete. Like many of us; I was utterly hopeless at promoting my own work. My comfort zone was in bringing attention to the works of folks I admired. Then, only four-months ago I stumbled upon Rave Reviews Book Club. I read and re-read the rules of the club, took a close look at what they were doing and more importantly just how they went about it. I liked what I saw. That was only four-short-months ago. Let me share a few statistics with you, for both prior to #RRBC & AFTER Joining. BEFORE #RRBC =June 2016 … 1423 Followers on Twitter. NO new followers in June. AFTER Joining #RRBC= July 2016 …2052 Followers on Twitter. 629 NEW FOLLOWERS. I took part in a wonderful blog party tour hosted by #RRBC It was THE most commented on and successful post I’ve ever had. My friend list exploded! My TBR grew huge. This trend has continued … as at around five-minutes ago, My Followers on Twitter number 3580. I have almost tripled my Followers. 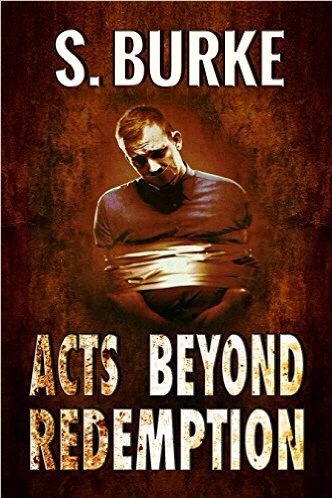 My book “Acts Beyond Redemption” was selected as one of #RRBC’s OCTOBER books of the month. The response and huge support of the #RRBC community garnered me more sales than I had ever had of my book, and the reviews just keep on coming. Yes, I am taking part! My trailer and post is scheduled for NOVEMBER 22nd, and I am extremely excited, and why wouldn’t I be? One of THE most important things to note about the ‘reviews’ is that this club INSISTS on HONEST reviews. If the book is amazing then of course say so. BUT if you can only offer a constructive review and rate it less than 4/5 stars, then you are encouraged to do so. Honest Reviews mean exactly that. I am and always have been a huge supporter of Indie Authors if I admire their work. I have finally found a warm supportive home where all of us are like-minded. And to TOP all of this amazing stuff, My memoir “Empty Chairs” and Faint Echoes of Laughter” are BOTH sitting comfortably in the TOP 100 in their genre In Kindle in the U.K.
Color me CONTENT! Don’t wait…pop in and take a look at #RRBC this is one place where you get out of the club, exactly what you put into it. My blog now … this one … has in excess of 7000 followers! Just a ‘tad’ different to the old blog at 287. AND THEN SOME! So … Do YOURSELF a huge favor…Take a look. I’m so delighted that I did. Learn much more about #RRBC right here. Purchase book 2 of my Memoir “Faint Echoes of Laughter” here on Amazon. All right, Soooz…how do you say WOOOOT! in Austrailian? Really, REALLY proud of you, kiddo. Funny, I had the same thing happen to me — publisher closed their doors and two of my books disappeared from view. I’ve since written two more and, when I get a little time, will be re-pubbing the two that went walkabout. CONGRATS, SOOOZ! I’m literally having the writing time of my life right now. It feels soooooooooo good. I have but one regret, Soooz – that I can run right out now and join RRBC again! Great post – it says it all! Thanks, John. I hope I covered it well. I have so very much to be thankful for, and joining RRBC is way up there on my list. You’re a real superstar Soooz! 😀 Good on yah! And you thought you should do it all on your own! Oh, my! Soooz, if anyone with such a short time in the club had ever expressed it better, I’ve never seen it. You are such a joy to have as an RRBC member and I see your star shining brighter and brighter! Thank you for telling it like it is! Patricia, this is just what I mean. The generosity of spirit in the club warms my weary old soul. You have quite literally made my entire day. Thanks so much for reblogging as well. Color me delighted! Whoo-hoo! I am so proud of and happy for you, Soooz. You are quite an example for all of us to follow. Congratulations and I for one is very happy you are part of RRBC. We have such a mutual admiration for each other, Karen. Novi’s Son still lingers in my memory. Outshine was inspiring. The fact that you are proud of me means more than I can express. A fabulous post about all the wonderful perks and support of RRBC. So glad you discovered the club, Soooz, and so happy for all your accomplishments! Congrats! Hi, Mae Clair. Thank you! I’ve been pinching myself (Never a good look) no, seriously, the momentum since joining the club has been awesome. My days used to be so long and lonely, now I barely have enough hours to complete everything that I want to get done. Such a fantastic post, Soooz! That’s the first time I called you Soooz! 🙂 It’s been an absolute joy connecting with you. I’m so thrilled that you joined RRBC, otherwise we may have never met. Your support for fellow members and authors is tremendous! A huge thank you from Canada!